Anzac Day marks the anniversary of the first major military action fought by Australian and New Zealand forces during the First World War. The acronym ANZAC stands for Australian and New Zealand Army Corps, whose soldiers were known as Anzacs. Anzac Day remains one of the most important national occasions of both Australia and New Zealand. When war broke out in 1914, Australia had been a Federal Commonwealth for only thirteen years. In 1915, Australian and New Zealand soldiers formed part of an Allied expedition that set out to capture the Gallipoli Peninsula, under a plan by Winston Churchill to open the way to the Black Sea for the Allied navies. The objective was to capture Istanbul, capital of the Ottoman Empire and an ally of Germany. The ANZAC force landed at Gallipoli on 25 April, meeting fierce resistance from the Turkish Army commanded by Mustafa Kemal Atatürk. What had been planned as a bold strike to knock Turkey out of the war quickly became a stale-mate, and the campaign dragged on for eight months. At the end of 1915, the Allied forces were evacuated after both sides had suffered heavy casualties and endured great hardships. Over 8,000 Australian and 2,700 New Zealand soldiers died. News of the landing at Gallipoli made a profound impact on Australians and New Zealanders at home and 25 April quickly became the day on which they remembered the sacrifice of those who had died in war. Though the Gallipoli campaign failed in its military objectives of capturing Istanbul and knocking Turkey out of the war, the Australian and New Zealand troops' actions during the campaign bequeathed an intangible but powerful legacy. The creation of what became known as an "Anzac legend" became an important part of the national identity in both countries. This shaped the ways their citizens viewed both their past and their future. The above is quoted from Wikipedia to read more please follow the link. 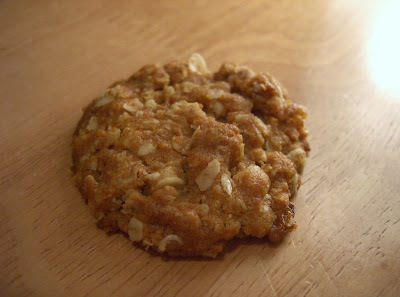 I'm not going to try and reinvent this recipe so the one posted is straight from NZ Women's Weekly as the ANZAC biscuit is protected in law from being used for profit I believe and must remain close to the original recipe. They are a great alternative to a flapjack and perfect dunking in a cup of tea ! Heat oven to 180C (160C fan bake). Line two baking trays with nonstick baking paper. Place flour, caster sugar, coconut and oats in a bowl and stir to combine. Make a well in the centre. Place butter and golden syrup in a saucepan to melt, or microwave in a bowl to melt. Dissolve baking soda in boiling water. Add melted ingredients and dissolved baking soda to dry ingredients and mix to combine. Roll spoonfuls into balls and press onto prepared baking trays, allowing space for biscuits to spread while cooking. Bake for 15 minutes or until firm and golden brown. Remove to a wire rack to cool, and enjoy! Stored in an airtight container, Anzac biscuits will last well for up to a week. Made some yummy Biscotti this morning ... nice simple recipe and about 20 min to make plus 30 min baking time.